First things first. Losing fat is not the same as losing weight. No one want to lose muscles. What we want is to lose fat. However, losing fat is not as simple as it seems. Yet, there are ways to reduce your body fat by increasing your strength and energy at the same time. All you need is determination and consistency. First order of business when starting out on a fat losing journey is determining not only your bodyweight, but also knowing the percentage of body fat and lean muscle mass. You want to achieve a consistent fat loss. It’s best to weigh yourself in the morning, immediately after you’ve been to the toilet. If you’re to take you weight every day you should be prepared for sudden drops and raises in your numbers. That’s why you should never compare your weight to the numbers from the previous day. Use the previous week measures for comparison. You can measure your body fat with calipers. Although many people would argue the accuracy of this test, it can give you the relative numbers about your body fat percentage. The seven site pinch test, where you measure the average body fat by taking three pinches at each site should done once a month. After that you can calculate the lean muscle mass, by subtracting the body fat mass from your weight. 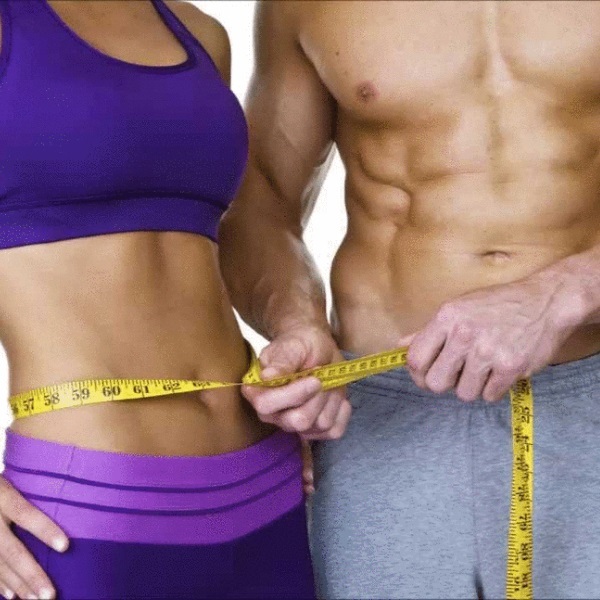 Losing your body fat is painstaking and lengthy process that requires great deal of knowledge. There’s only one recipe for losing fat instantly. That’s liposuction and no one in sane mind would recommend it. Crunches and side bends do help in reducing our waistline. However, the true reason behind this fat loss is the fact that you’re burning more calories by increasing make your heart pump faster and increasing the body temperature, which stimulates your metabolism. Although this exercises are good for improving your core strength, your primary focus should be nutrition, cardio workouts and strength training. The food that you eat is probably the number one factor in shaping your body. If you want to lose fat and increase your energy you must have good dieting plan. However, you should have in mind that there is no one-diet-fits-all solution to this problem. What works for some, doesn’t necessarily work for others. Not all of us are built the same and share the same metabolism. It may take you some time and experimenting to discover the best diet for you. Once you’ve discovered the best nutrition plan, stick to it. We recommend learning the general rules about your protein, carbohydrate and fats intake. Of course, you’ll need to adjust this to suit your needs, but learning the basics is crucial in making a good start. The recommended daily allowance of protein is one gram per each pound of bodyweight. However, if you’re working out and trying to gain muscle mass, you can increase this to 1.8 grams per pound during this period and go back to 1 gram afterwards. Try to get most of your protein from lean meat sources. Ground biff and turkey, chicken breast, fish are some of the best sources of protein. You can also include eggs and red meat in your diet. Nut also provide you with protein, but you should be aware that they are high in fats as well. The carbohydrate and fats intake is a different issue altogether. Some people may be sensitive to carbs or have diabetes. Others have metabolism that burns them with fast rate. Also, when you have intensive workouts your body needs more carbs than usually. Adjust your carbohydrate and fats intake according to your personal needs and activity rate. When it comes to plain sugars, you can limit your intake to minimum. In reality, simple sugars is something that we all can do without. Try taking your sugars from low carbs foods like oatmeal. The recommended daily allowance of fat is 0.4 grams per each pound of bodyweight. However, this is also a subject to personal preferences and goals. You can always adjust this number based on how your body reacts. The key factor in maintaining your bodyweight is consistency. You can always lose weight. But if you’re not consistent with your diet, chances are that you’ll soon be in for a rebound. Try eating clean throughout the week, but once a week reward yourself with a meal where you can eat what you want. The other aspect of maintaining consistency is eating tasty food. This is not an easy task and will take some creativity. However, learning how to eat both tasty and healthy food will help you in turning your diet to a lifestyle. It’s also important that you keep track of your calorie intake. In that way you can adjust it based on your activity rate and the results of body fat percentage tests. Healthy nutrition is one of the most complicated aspects in maintaining your body fat levels. Lifting weights and doing cardio is something that everyone can do. But the real key is finding and sticking to the right diet. Often this will require all your patience, but if you want results you need to stand up to the task. Once you sort out your nutrition, you can speed up your fat loss by cardio exercises. Once again, the key is to be consistent about your cardio. If you want to lose fat but maintain your muscle mass at the same time, limit your cardio to 30 minute session. Of course, you can always go for more, but remember that cardio is all about burning calories. So, the longer your sessions, the less calories remain in your system, and this will prevent building up your muscle tissue. Another important aspect is increasing the percentage of lean muscle mass. This will help you burn more calories to maintain your muscle activity. The best way of increasing your lean muscle mass is, of course, weight training. There are many different weight training protocols you can choose from. But the first and foremost factor in achieving success is to be consistent about your training. Other than that it’s all up to you and choosing the right protocol. Make sure that it contains enough compound movements. Isolation exercises are good for definition, but if you want to burn fat faster, you need compound exercises. Go for heavy lifting with low rep range of six reps for presses and pulls. You can go with higher rep range when training your calves, abs and arms. You can always decrease you body fat percentage with cardio and good dieting. So use your weight training to give you muscle mass.